If planted in a pot bring in the Lily during Winter and allow to dry out. If planted in the Garden, dig up after the first frost, shake off soil and dry out for a few days before storing. Add to peat moss and locate lilies in a cool, dry area, preferably dark, until warmer temperatures return in spring. 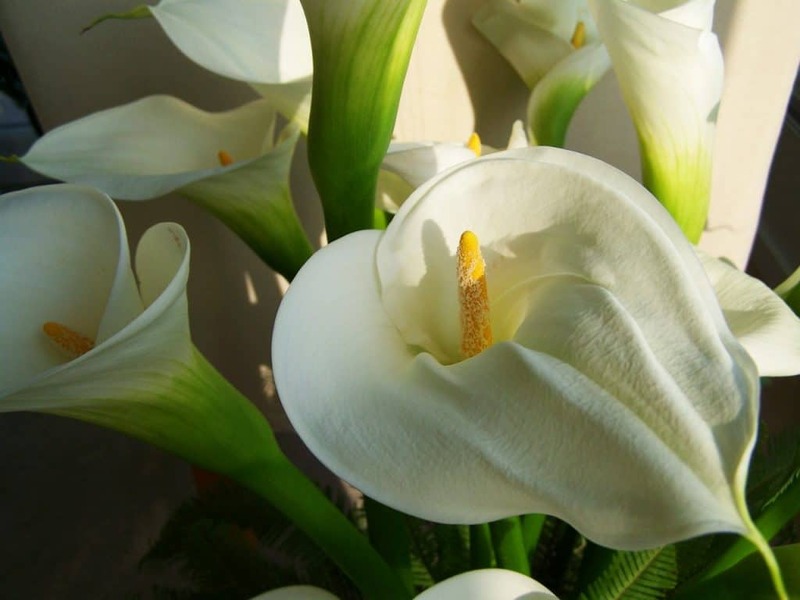 Continuing Care: Reduce the watering schedule for indoor calla lily plants in November. Repot the plant once a year.